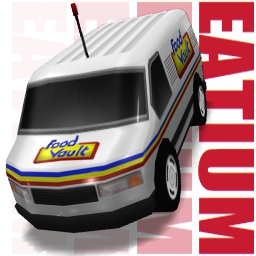 - This car is based on the Re-Volt supermarket "Food-Vault". - This car name's comes from "eat". - I got the inspiration while searching for some sponsors for the Pemto Pack Project.